Saw A frat boy wearing Tall black ugg boots under his jeans today. You can definitely tell that he is wearing a tall black ugg boots because the big boot shaft can be seen so easily in his tight light blue jeans. I wish I can snap a picture of his boots but it was too crowded. But ya, he is the first guy I saw wearing tall ugg boots under jeans. They look so comfortable. 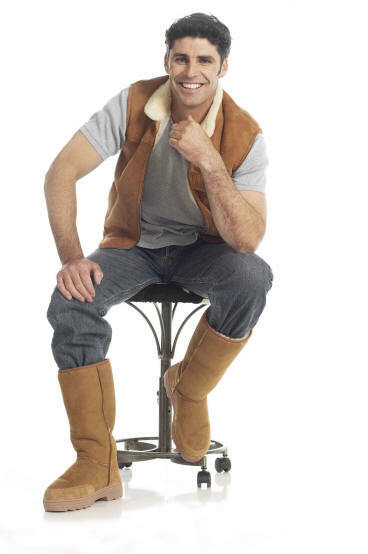 Should men wear ugg boots? They look so feminine to me. What’s up colleagues, its impressive post concerning cultureand entirely explained, keep it up all the time. Stud Men always look good in boots. 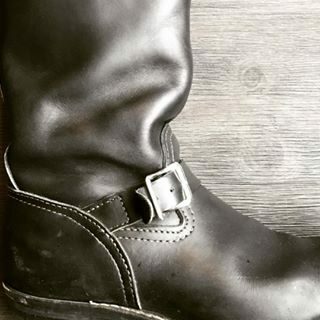 The boots portray real masculine appeal. Fags worship boots and feel themselves slaves to boot wearing Real Men. I wear UGG boots this moment. At home. They are COMFY!!! like you walk barefoot. But also they are very warm. I do not wear them in the street, however. They DO look feminine. Alex, your opinion that they look feminine is from society’s viewpoint and the fact that more women than men wear them. But remember that they originated in Australia, where surfers wore them after coming in from the ocean.